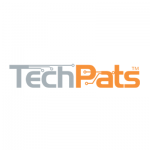 TechPats has a number of technical experts with extensive experience in, R&D, technology and product development in the above technology areas. Growth of broadband traffic continues at a rapid rate. Globally, mobile-data traffic is growing by more than 50% per year and wireline traffic growth increasing at a rate of about 20%. Cable companies represent a significant segment of the communications segments that benefit from this growth. This tremendous growth provides a driver for new technologies and IP (Intellectual Property). Driving forces for the telecom industry include mobile money and related machine-to-machine communications, cloud offerings, OTT players and LTE and the convergence to an all-IP network. TechPats’ technical and patent experts have year of relevant industry experience and understand the technologies and markets related to the Telecom/Internet and Cloud industry. We have expertise to help you with, among other services, understanding the market and IP landscapes, addressing your needs for technical expertise and expert witnesses in IP-related related matters and development of monetization strategies, including finding EoU (Evidence of Use) of your Intellectual Property. Our solutions are customized to suit your needs.